2010 January 30 » Change Myself. Change the World. Day 24: Ready For The Super Bowl? 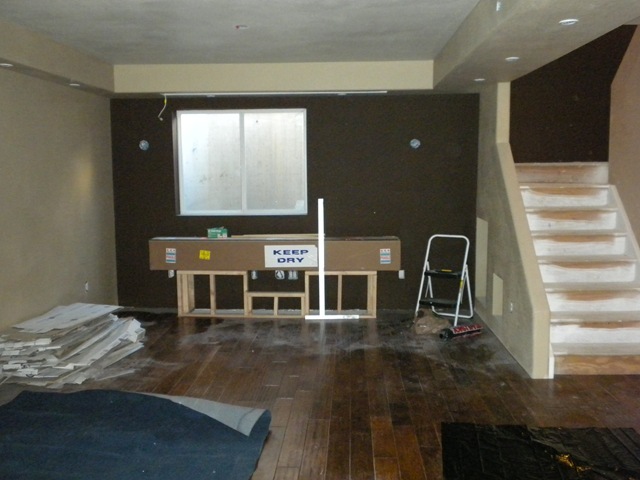 When we started our basement we wanted to get far enough along to watch Super Bowl on our new projection screen. That was last year. Now more than a year later we are close to being able to watch this year’s Super Bowl down there but it is mostly riding on whether or not our projector gets here in time. In the meantime we still have a lot of work to do between now and next weekend. A lot.